In this study, we aimed to illustrate the efficiency of correlation analysis of musical and genetic data for certain common ethnic and ethno-musical roots of mankind. The comparison of the results to archaeogenetic data shows that correlations of recent musical and genetic data may reveal past cultural and migration processes resulting in recent connections. The significance tests verified our hypothesis supposing that propagation of oral musical traditions can be related to early human migration processes is well-founded, because the multidimensional point system determined by the inverse rank vectors of correlating Hg–UCT pairs has a very clear structure. We found that associations of Hgs jointly propagating with associations of UCTs (Unified Contour Type) can be identified as significant complex components in both modern and ancient populations, thus, modern populations can be considered as admixtures of these ancient Hg associations. It also seems obvious to conclude that these ancient Hg associations strewed their musical “parent languages” during their migrations, and the correlating UCTs of these musical parent languages may also be basic components of the recent folk music cultures. Thus, we can draw a hypothetical picture of the main characteristics of ancient musical cultures. Modern and prehistoric populations belonging to a common Hg–UCT association are located to very similar geographical areas, consequently, recent folk music cultures are basically determined by prehistoric migrations. Our study could be considered as an initial step in analysis of the correlations of prehistoric and recent musical and genetic characteristics of human evolution history. The online version of this article ( https://doi.org/10.1007/s00438-019-01539-x) contains supplementary material, which is available to authorized users. 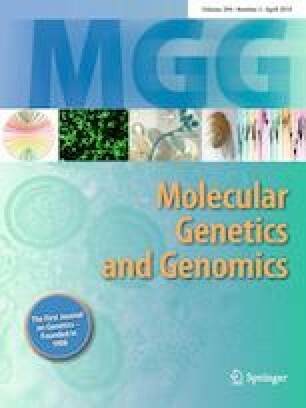 The authors are grateful to Tibor Fehér for the assembly of the genetic database.